If you're asking “Is coffee bad for you?” you may be overdoing it. Consumed in moderation, coffee offers multiple health benefits. Is coffee bad for you? There are risks but by and large, it's got multiple health benefits—if consumed in moderation. Is coffee bad for you? As you’ve likely seen in multiple health-related headlines over the years, coffee offers numerous health benefits, if you’re drinking it in moderation. On the other hand, the “coffee health benefits” headlines you’ve seen have been accompanied by others that lead you to an opposite conclusion: that drinking coffee comes with risks. 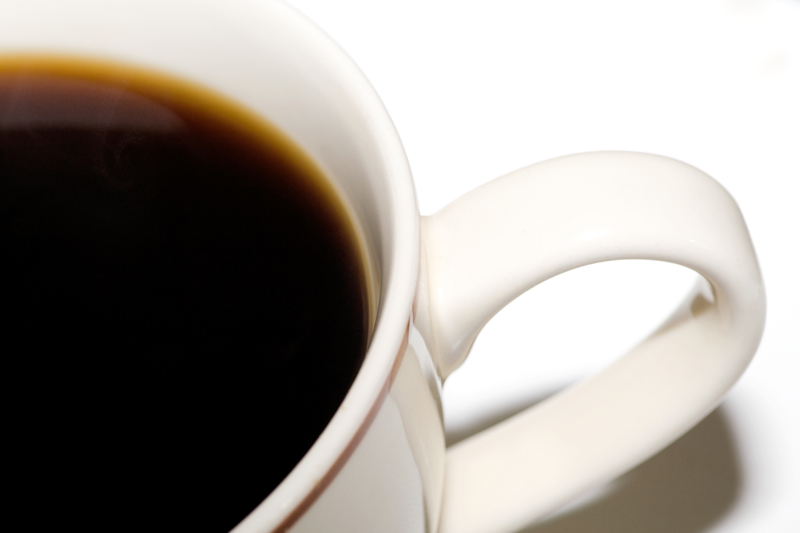 Without a doubt, research on coffee benefits can seem contradictory. For example, we found studies that said coffee can decrease your risk of developing type 2 diabetes, and others showing that caffeine can disrupt glucose metabolism in the body, contributing to the development or worsening of type 2 diabetes. Clearly, more research is needed. WILL COFFEE REQUIRE CANCER WARNING LABELS? In March 2018, a California Superior Court judge issued a preliminary ruling that may force coffee manufacturers and sellers to place cancer warning labels on coffee products. Does coffee cause cancer, or is the ruling a matter of much ado about nothing? Click here to read our report. Fortunately, most research and medical professionals agree that coffee has strong health benefits when consumed in moderation. The good news for those of us who love coffee: “Moderate” drinking is defined as three to five cups per day. According to the U.S. Department of Agriculture, there are 11 mg of caffeine in an eight-ounce cup of coffee. The U.S. Food and Drug Administration (FDA) says 400 mg of caffeine is safe for healthy adults. Addiction: According to The Good Drugs Guide, caffeine is ranked fifth in a list of addictive substances, following nicotine, heroin, cocaine, and alcohol. It’s more addictive than marijuana, which ranks sixth. Since caffeine is addictive, you can suffer withdrawal symptoms when you don’t consume it. The most frequent sign is a headache. (See our post “Do You Have a Caffeine Addiction?“)Caffeine is the most widely used psychoactive substance, which is a drug that acts on the central nervous system and can alter brain function. That’s why a coffee drinker gets a feeling of alertnesss—or jittery, nervous feeling—when drinking coffee. You can build up tolerance to caffeine’s effects, causing you to need more to get the same effect, another sign of addiction. Insomnia: Caffeine makes your brain more alert, so it’s nearly impossible to sleep. A few of us aren’t bothered by it at all, quickly metabolizing caffeine without all the downsides. If coffee keeps you awake, you can control the effects of caffeine by timing your intake: Limit yourself to morning coffee only, for example, to avoid insomnia. Caffeine’s half-life is four to six hours, which means at that point, your body has eliminated half of the caffeine you’ve taken in, greatly reducing its effects. However, it will take a little over a day—without any additional caffeine consumption—to eliminate all the caffeine. Cholesterol: Research indicates that coffee, especially decaffeinated coffee, can increase cholesterol levels in the blood, including triglycerides. Blindness: A study in Investigative Ophthalmology & Visual Science showed that heavy caffeinated coffee consumption is associated with an increased risk of developing exfoliation glaucoma, the leading cause of secondary glaucoma worldwide. 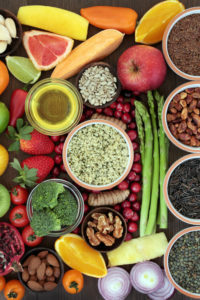 It’s rich in antioxidants (including magnesium, riboflavin, and potassium), which help prevent or lessen damage from aging, cancers, and disease. It may hep in prevention of cancers (including prostate, breast, liver, and colorectal). It helps burn calories by boosting metabolic rate. It may offer protection from dementia. It’s been shown to boost cognitive function. It can lower the risk of depression. It can lower the risk of Alzheimer’s disease and Parkinson’s disease. It may lower risk of stroke and heart disease. 2 diabetes, aging, alcohol, alzheimer, antioxidants, blood pressure, brain, caffeine, caffeine addiction, calories, cancer, cancers, central nervous system, cholesterol, cholesterol levels, coffee, cognitive function, colorectal, dementia, depression, diabetes, does coffee cause cancer, ears, food, for high blood pressure, glaucoma, glucose, health, health news, heart disease, high blood pressure, insomnia 2, is coffee bad for high blood pressure, is coffee bad for you, magnesium, metabolic rate, metabolism, nicotine, parkinson s disease, potassium, Prostate, report, secondary glaucoma, sleep, stroke, tinnitus, Triglycerides, type 2 diabetes, university health news. I had some symptoms for a few years before diagnosis; stiff achy right arm and ankle, right hand tremor when typing, tiredness, body shivers, falls due to tripping. I was always active, bicycle riding to/from work daily and putting in 2 to 3,000 miles on my bicycle per year. i was on Mysoline 250mg in 3 doses for the essential tremor. Madopar 200mgfour times a day. Sifrol 1mg three times a day, I started on Health Herbal Clinic Parkinsons Disease Herbal formula treatment in November 2016, i read alot of positive reviews on their success rate treating Parkinsons disease through their PD Herbal formula and i immediately started on the treatment. Just 8 weeks into the Herbal formula treatment I had great improvements, my hand tremors seized. I am unbelievably back on my feet again, visit Health Herbal Clinic official website ww w. healthherbalclinic. net or email info@ healthherbalclinic. net.My have reduced my symptoms have so much reduced that now I hardly notice them. I had some symptoms for a few years before diagnosis; stiff achy right arm and ankle, right hand tremor when typing, tiredness, body shivers, falls due to tripping. I was always active, bicycle riding to/from work daily and putting in 2 to 3,000 miles on my bicycle per year. i was on Mysoline 250mg in 3 doses for the essential tremor. Madopar 200mgfour times a day. Sifrol 1mg three times a day, I started on Health Herbal Clinic Parkinsons Disease Herbal formula treatment in November 2016, i read alot of positive reviews on their success rate treating Parkinsons disease through their PD Herbal formula and i immediately started on the treatment. Just 8 weeks into the Herbal formula treatment I had great improvements, my hand tremors seized. I am unbelievably back on my feet again, visit Health Herbal Clinic official website My have reduced my symptoms have so much reduced that now I hardly notice them. Is the above FDA 400 mg correct? “11 mg of caffeine in an eight-ounce cup of coffee” and FDA says 400 mg are safe” . Someone might interpret that as 36 cups of coffee!